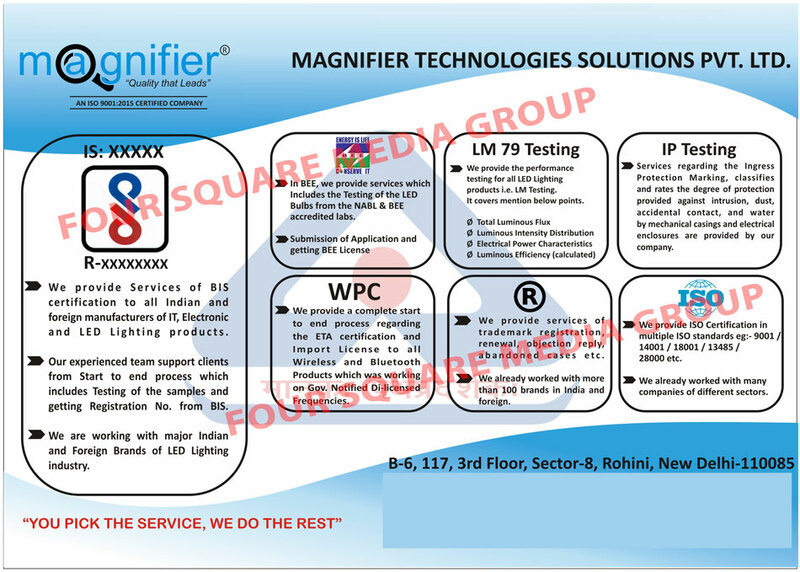 Magnifier Technologies Solutions Pvt. Ltd.
BIS Certification Services, Led Bulb Testing Services, ETA Certification Services, Led Lighting Product Testing Services, Trademark Certification Services, IP Testing Services, ISO Certification Services as an active Manufacturer, Supplier, Dealer, Distributor, Trader and Seller etc. (*Importer/Exporter/Service Provider).